Ancient and beautiful, Sumi-e (or ink wash) paintings are full of simple elegance and harmony, of vitality and yet at the same time restrained. Do you find this intriguing? Want to give it a try? This is the workshop for you! Grab a friend and get ready to have a ball! Painting in the traditional Sumi-e style is a wonderful form of artistic expression in itself. If you are already a watercolorist, Sumi-e painting is a great way to improve your watercolor techniques! 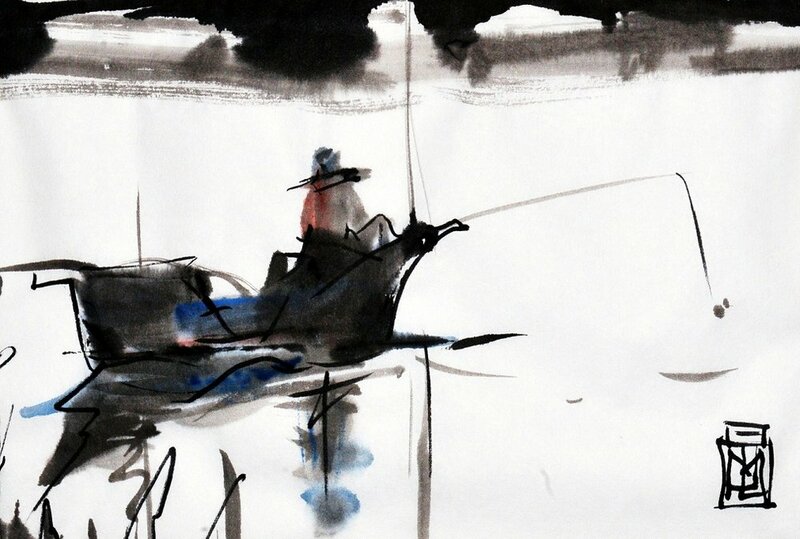 This 1-day workshop will introduce you to the wonderful world of creating Sumi-e art. It will include demo, hands-on learning, and Sumi-e background, including an introduction into Eastern Painting techniques and design. Joe will bring it home, teaching you how to use these Eastern techniques with Western tools – our brushes and pens - and some new composition and design principles. You’ll learn about Sumi materials like the special paper and brushes, brushwork, and how to paint with efficiency, simplicity, rhythm and tempo. And how not to overpaint! Get ready for an amazing day improving your techniques and learning some great new skills! Daler Rowney: Lemon Yellow, Cyan, Magenta, Black – 1 oz.